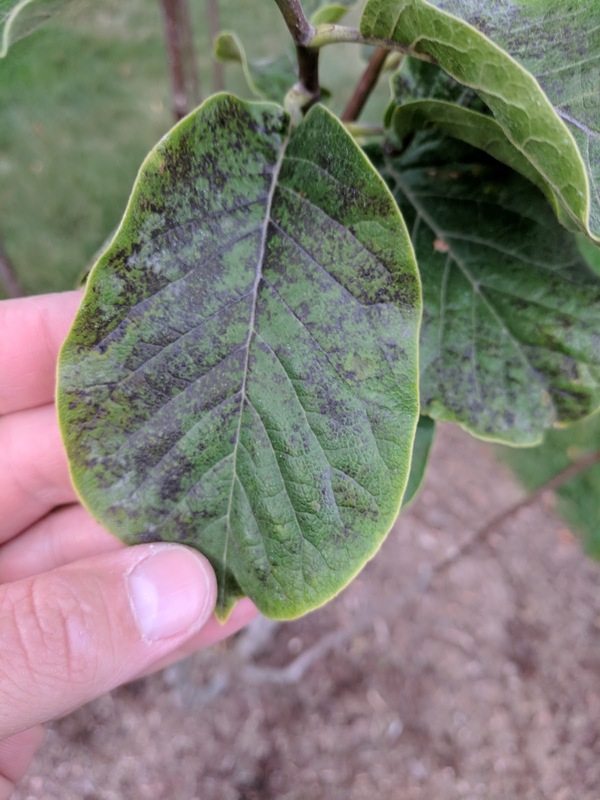 Does My Magnolia Tree Have Sooty Mold? 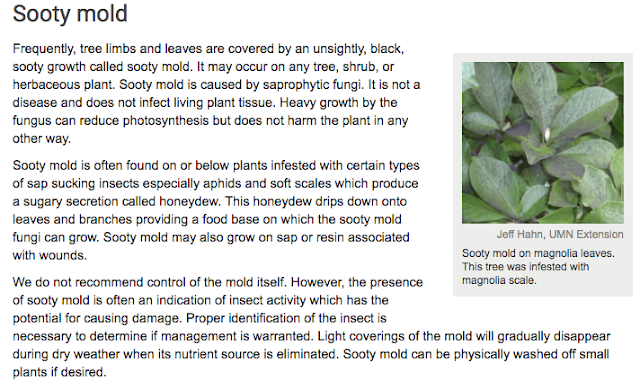 But if you look elsewhere on the topic of Sooty Mold, the photos look totally different. 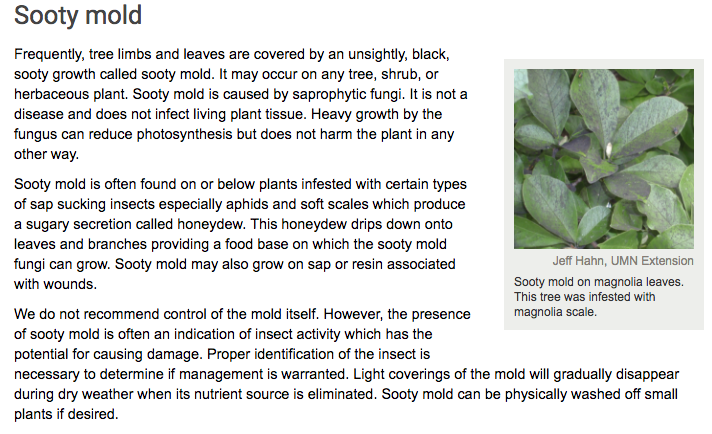 Most of the articles reference insects and/or aphids, which our Magnolia doesn't appear to have inhabiting it right now. I also found this photo of something called Fungal Leaf Spot in the Science Photo Library, which isn't exactly what I am seeing on our leaves. I'll keep poking around and see what I can confirm. I hope that a hard winter, along with a season next year where I'm not constantly watering the grass (like I was this year when we were trying to get the sod established), this might not come back. *Fingers crossed*.